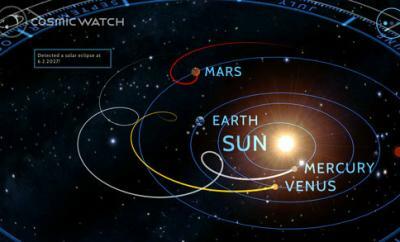 You don’t have to be a pro astronomer to want to go stargazing. But you will need a great spot and a decent telescope. Weather needs to cooperate also. Scope Nights for iPhone is a handy application that provides you with national and global weather forecasts so you can plan your trips to the outdoors more confidently. 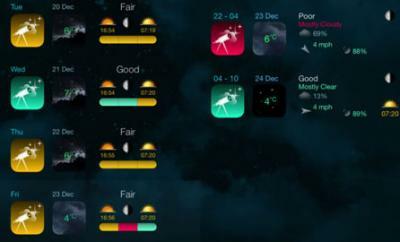 Scope Nights clearly shows you which days are great for stargazing. 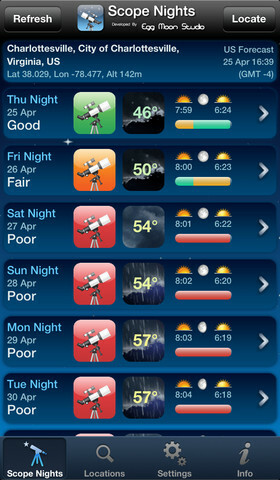 Scope Nights has a clean user interface and provides with the important weather information you need to know to go stargazing.. 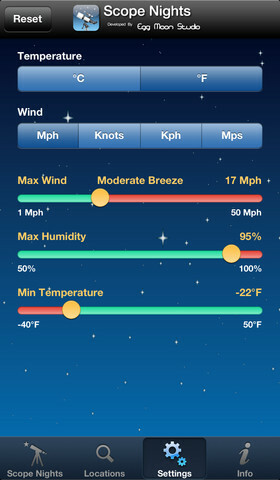 Weather, wind, cloud cover, humidity, and temperature are available. Local weather forecasts are updated for USA and UK on an hourly basis. Scope Nights also covers moon phases, sunrise/sunset times, and other useful night-time forecasts. The app automatically finds your location but you can also add new locations. Scope Nights goes well with apps like Dark Sky Finder. 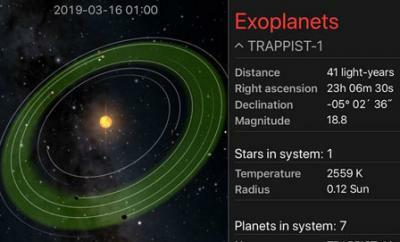 It covers weather information so you can decide which nights to choose to go explore the objects in your sky. Scope Nights is available for under $2 at this point.